The new HIKS 2019 Collection is finally here. 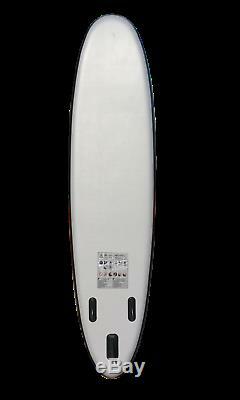 Our all new and improved 10ft' 6 Stand Up Paddleboard set Inflates to 320 x 76 x 15 cm. These are still great all rounder paddleboards and now include a new power grip diamond deck pad to give all riders greater confidence and grip. 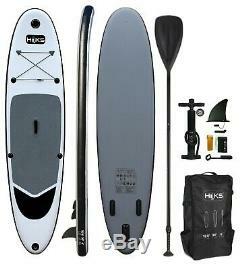 HIKS Battleship Grey 10ft' 6 SUP Board or Stand Up Paddle Board is for all ability Levels. Providing excellent stability and balance as well as a smooth ride with an Inflated Size of 320 x 76 x 15 cm. The complete paddleboard set fits inside the water-resistant backpack making it super portable. 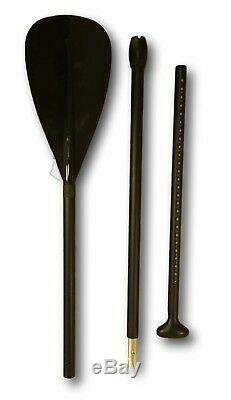 Fully Adjustable Paddle (1.78 - 2.2 meters). 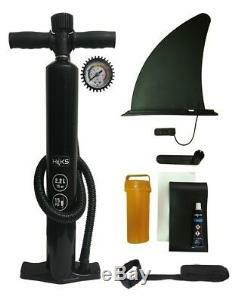 15 PSI Hand Pump With Pressure Gauge. This board features a large EVA traction pad on the surface for added grip. 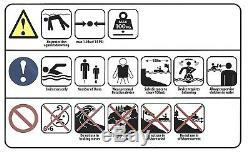 As well as an elastic bungee cord to hold items like waterproofs or drinks on the board whilst paddling. Maximum recommended user weight: 150kg. Inflated Size: 320 x 76 x 15 cm (L x W x H). 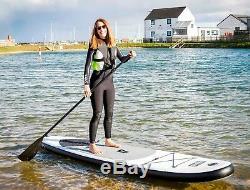 Stand Up Paddle 3.2 m Board Battleship Grey SUP Board Set HIKS 10'6 ft 320cm. Return posting costs will be at your expense. Please check this listing page carefully as the answer is usually there. The item "Stand Up Paddle 3.2 m Board Battleship Grey SUP Board Set HIKS 10'6 ft 320cm" is in sale since Thursday, January 11, 2018. 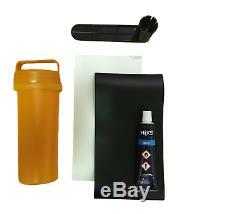 This item is in the category "Sporting Goods\Canoeing & Kayaking\Inflatables". 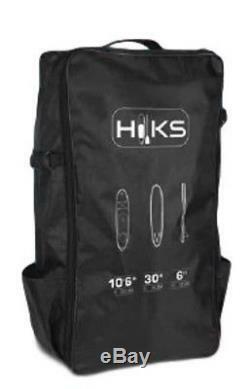 The seller is "hiks-products" and is located in Colchester. This item can be shipped to United Kingdom, Antigua and barbuda, Austria, Belgium, Bulgaria, Croatia, Cyprus, Czech republic, Denmark, Estonia, Finland, France, Germany, Greece, Hungary, Ireland, Italy, Latvia, Lithuania, Luxembourg, Malta, Netherlands, Poland, Portugal, Romania, Slovakia, Slovenia, Spain, Sweden, Australia, United States, Canada, Brazil, Japan, New Zealand, China, Israel, Hong Kong, Norway, Indonesia, Malaysia, Mexico, Singapore, South Korea, Switzerland, Thailand, Bangladesh, Belize, Bermuda, Bolivia, Barbados, Brunei darussalam, Cayman islands, Dominica, Ecuador, Egypt, Guernsey, Gibraltar, Guadeloupe, Grenada, French guiana, Iceland, Jersey, Jordan, Cambodia, Saint kitts and nevis, Saint lucia, Liechtenstein, Sri lanka, Macao, Monaco, Maldives, Montserrat, Martinique, Nicaragua, Oman, Pakistan, Peru, Paraguay, Reunion, Turks and caicos islands, Aruba, Saudi arabia, South africa, United arab emirates, Ukraine, Chile.